I’m not drunk, stupid, incompetent or on drugs. I have been blessed with an autoimmune disease. 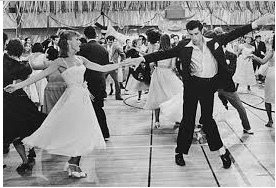 I’m in a place where people are stumbling, swaying swinging, twirling, spinning but there isn’t any dancing. Just hopping from doc to doc, test to test & eliminating the issues I don’t have. Turns out I have Vertigo but it involves Meniere’s disease. Basically Vertigo plus some added bonuses. Yay for me! http://www.fit50andfab.com/wp-content/uploads/2015/10/50Logo4.png 0 0 Jessie Beard http://www.fit50andfab.com/wp-content/uploads/2015/10/50Logo4.png Jessie Beard2017-08-09 18:34:432018-11-19 00:50:16I'm not drunk, stupid, incompetent or on drugs. I have been blessed with an autoimmune disease.